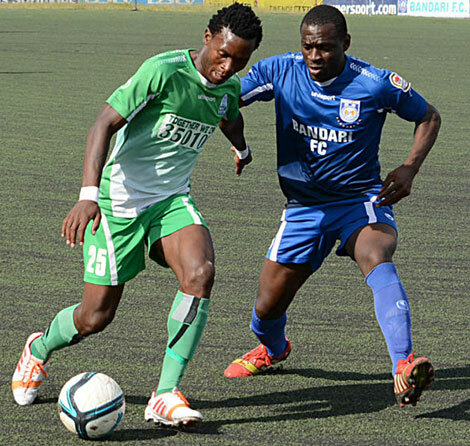 Having wrapped up the KPL title , Gor Mahia will resume the GoTV shield campaign. They will take on Ushuru FC in the GoTV shield round of 32 match. The match kicks off on Sunday at 3pm at Nyayo stadium. Their first round match was against Langata Gremio which Gor Mahia won easily 3-0. Ushuru presents their first stern test. Coach Frank Nuttall is under no illusions. But Nuttall knows that his side is capable of winning the GoTv shield as well as the KPL Top 8 to add to the two titles they have already won. “Our form suggests that we can win a treble this season adding the KPL Top-8 and the GOtv shield to our stable.” continued Nuttall. Overall team captain Jerim Onyango is also adamant that Gor Mahia can achieve its pre-season target of winning 5 titles. “This has now become a routine achievement, but it still isn’t time to celebrate. Our target when the league began was to win five trophies, and so far we have won only two. The Cecafa trophy slipped through our fingers in the finals, but now we have to play for the Gotv Shield as well as the Top Eight. It is important that we win all these trophies so that we can rightly say that this has been our season; that we are the true and undisputed champions of the land,” said Jerry Jagoal to the KPL website. “This season I have not featured for the team much, but that doesn’t make me less of a champion. My being on the bench provides substantial motivation to the starting players because it reminds them that they have to give their best or relinquish their positions.”he continued. Go Green Men Go and Give the tax collectors a run for their money. Two Nil is What They are Fond of so Deliver To Them Whats Theirs.